South Adelaide continued their winning pre-season form with a come-from-behind victory over the Adelaide Crows SANFL side at AAMI Stadium on Saturday afternoon. The Panthers overcame an eight-point deficit at three quarter time, outscoring a Crows team which featured 14 AFL listed Crows 2.4 to 0.4 in the final frame to run out four-point winners. Emmanuel Irra built on his performance against Sturt the week before, finishing with a team-high 25 disposals to go with an equal team-high four clearances. South's backline was resilient throughout the day, fending off countless Adelaide forward forays and rebounding with speed and accuracy. Cameron de Visser (21 touches), Nathan Daniel (20), Alex Cailotto and Tom Fields (19 each) all saw plenty of the ball, while Brad Crabb made his first competitive appearance of the pre-season. Dual Magarey Medallist, Joel Cross and former Port Adelaide Power goalsneak, Cameron Hitchcock also made their first pre-season appearance, playing limited minutes, but getting valuable time on ground under their belts. 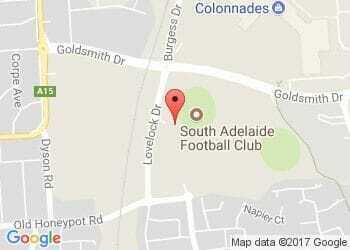 South Adelaide's final hit-out of the pre-season will come against Central District this Friday night, March 18, at My Money House Oval, with Reserves getting underway at 5:00pm and League kicking off at 7:40pm.